Identifying Real Love. Lesson 15 Questions in "Understanding True Love"
1. Real love comes out of nowhere and takes hold of you. You know it is the real thing because you have this wonderful feeling. It may go as unexpectedly as it came. 2. Knowing the difference between real love and infatuation can keep you from making a life–long mistake. 3. In infatuation, the things that attract you are usually few. In real love, many or most of the qualities of the other person attract you. 4. Infatuations start fast, but real love always starts slowly. You have to know a person before you can truly love that person, and that takes time—lots of time. 5. In real love, you walk around in a daydream. You may see faults in the other person, but nothing really matters except the love which you have for each other. 6. In real love, the chances are that your parents and most of your friends will approve of the relationship. To have God’s blessing on your marriage, it is important to have the consent and approval of both sets of parents. 7. One of the best tests of a romantic relationship is the test of time. If you are infatuated, time and distance will kill the relationship. In real love, absence makes the heart grow fonder of the one you love. 8. In real love, you quarrel often and the quarrels may become more frequent and more severe, but as long as you kiss and make up, everything is fine. 9. In seeking a mate, your goal should be to find the person who will devote his or her life to making you happy. 10. If you have the slightest doubt about a relationship, it is better to go slow and even back away from it. 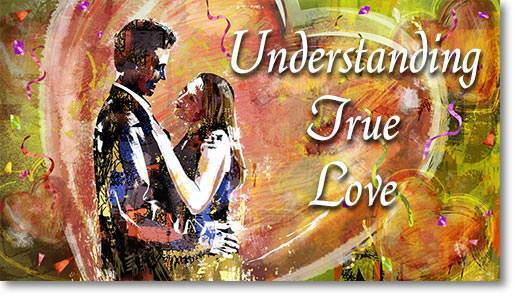 Time is your best friend in determining if your romance is real love or infatuation. Getting involved sexually is “cheating” on the test of time.